Song Thrushes are one of our commonest garden visitors – or at least they used to be. BTO figures show that Song Thrush numbers have halved over the last 40 years, a decline sufficient to warrant ‘Red-listed’ status – but one that has probably gone unnoticed by many, as these birds are still very common, with more than a million pairs estimated to breed in the UK. 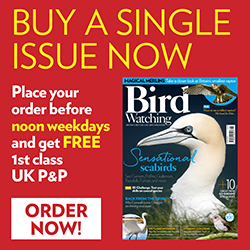 The most recent Garden BirdWatch reporting rates, however, may open a few eyes: during July-September 2009, Song Thrush was not in the top 10 most commonly reported birds, as might be expected, or even in the top 20 – in fact, it sits at number 22, recorded in just 14% of gardens, below Nuthatch and Magpie. So what has caused this massive decline? The first step in identifying the causes of change is to find out which stage of the life cycle has been affected – are numbers going down because more birds are dying, or because fewer are hatching? If it is because fewer birds are hatching, is it because fewer eggs are being laid in the first place, or because more nests are failing? The Breeding Bird Survey tells us whether bird populations are increasing or decreasing, but the BTO also runs a number of schemes investigating the demographics of bird populations, which aim to explain the underlying causes of the changes we can see. BTO researchers have analysed demographic data from the Constant Effort Sites ringing survey and the Nest Record Scheme, and have shown that the drop in numbers can be explained by the fact that fewer young Song Thrushes are surviving their first winter, a time when experience counts if resources are scarce. The environmental causes of these changes are not yet known, but changes in farming practices, land drainage, pesticides and predators are all possible contributors. The picture becomes more complicated when you consider that Song Thrushes are found in a variety of habitats – mainly woodland, scrubland, and gardens – and will experience very different pressures on their populations depending on their immediate environment. Those birds choosing to live in suburban gardens may have access to better food supplies, such as easily accessible worms in close-cropped lawns and bare flowerbeds, but they also have to cope with the problems caused by living in close proximity to people – and their dogs and cats. As the suburban environment expands, gardens become an increasingly important habitat for birds. The BTO is currently investigating the nesting success of birds, like the Song Thrush, that commonly use gardens as breeding habitat, so we would like to hear about any nests you find. If you have plenty of shrubs and creepers in your garden, you will probably also have a nesting Song Thrush or Blackbird – though they may not be easy to find! The nests of both species are surprisingly large, and can look quite messy on the outside, but can be told apart (if the parent bird is not in residence) by looking at the lining of the nest – a Blackbird nest is lined with dry grass, while Song Thrushes coat the inside of their nests with a smooth hard ‘cement’, which consists of mud and ‘chewed-up’ rotten wood. Song Thrush eggs are bright blue with well-defined black dots, while Blackbird eggs are generally duller with red-brown speckles. While it’s important to avoid excessive disturbance of nesting birds, it’s perfectly safe to look into nests at intervals, and the BTO will be able to use information submitted by the volunteers about garden-nesting Song Thrushes to refine our investigations into the causes of declines.